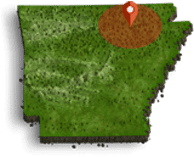 Cozy cabins and charming cottages provide a wonderful central location to your Ozark experience. Echoing the area’s scenic beauty, cabins allow visitors to experience the rustic charm unique to the Ozarks. Area cottages mirror the welcoming atmosphere prevalent among the area residents, providing a home away from home. Either can provide an experience that is unique unto itself while still equipping the visitor with a welcoming place to rest after a day enjoying the area.